Time for our Jungle and Sea Friends to mingle with your kiddie! Choose from our exclusive personalized collection to jazz up your kid's room. For complete range and details, please use the links below. 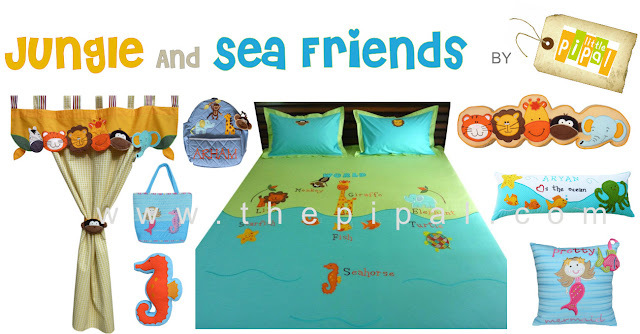 Do visit www.thepipal.com for complete room solution and kids accessories. For queries please call our customer care at +91 8968 737 777, or you can also drop us a mail at [email protected]. For business inquiries, please email at [email protected]. Copyright @ The Pipal 2010. Simple theme. Powered by Blogger.